One of the best things about contemporary art is the multitude of venues in which it can be admired, considered and observed. Museums, foundations and non-profits provide an ever-changing context and framework for the discourse on art. We are all familiar with the stoic halls of MoMA, the Guggenheim, the Hammer and the Los Angeles County Museum of Art, to name a few. But what receives less attention and press is the regional institution. These smaller spaces are often located in small to medium sized-cities and generally cater to a local audience. Small communities with the resources and interest in art and culture are in the enviable and rare position of inviting artist to let their imaginations go wild. These institutions are capable of responding and adapting to an artist's vision as it grows and develops during the creative process, allowing for a degree of creative freedom not always possible when dealing with a museum or exhibition space reigned in by politics and bureaucracy. The small and nimble institution is David to the large red tape-laden Goliath institution. An example is Mario Ybarra Jr.'s exhibition Mario Ybarra Jr.: The Tio Collection at the Santa Barbara Contemporary Arts Forum (CAF). CAF is a contemporary art exhibition space which commissions and showcases new work on a local, regional, national and international scale. 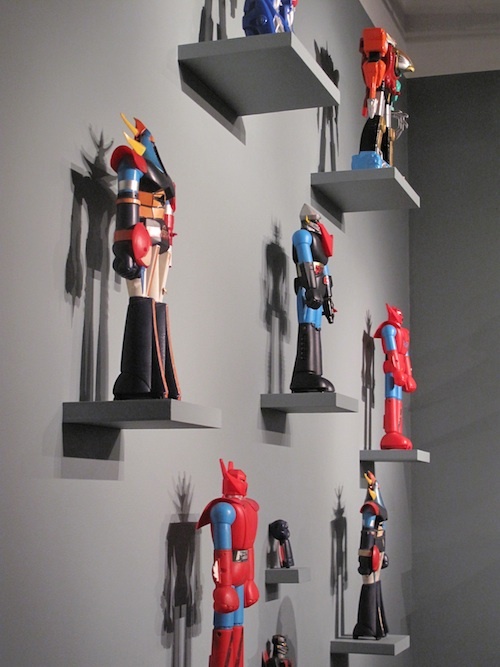 When CAF's Executive Director asked Mario, who currently has work in the Hammer's Made in LA exhibition and at LAXART, what he'd like to do for his solo show, he suggested a museological tribute to his family displaying both fictional and non-fictional objects from his uncles' lives. Mario was recently working on a project in Milan coincidentally during the city's fashion week, at which time he saw an advertisement for a fashion-related event called The Tio Collection. The title grabbed his attention and inspired this exhibition, which invites the viewer into Mario's universe through the display of personal objects such as family photographs, artifacts, and other handmade objects. I visited Mario as he installed his exhibition in Santa Barbara. Yasmine Mohseni: Tell me about your current exhibition at the Santa Barbara Contemporary Arts Forum. 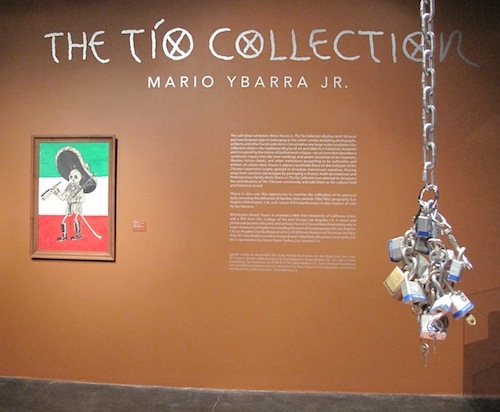 Mario Ybarra Jr.: The Tio Collection is an attempt to trace my own sensibility as an artist and person through researching and collecting objects and curiosities my father and uncles have made or collected themselves. 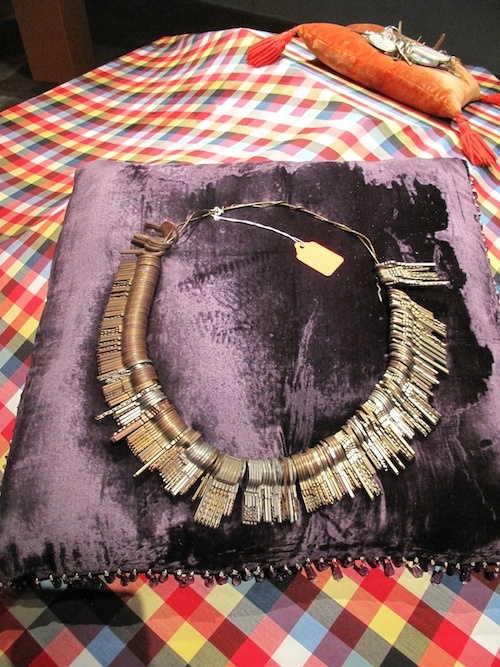 I view The Tio Collection as a family portrait in the round. My style is best described by a description I just read about Super Mario from the video games. An Italian plumber, made in Japan, who speaks English and looks Mexican... but I may add with a very distinct Woody Woodpecker laugh. What was the first work of art you ever created? The first work of art I remember creating was in the first grade. We all had our own easels in class and we wrote and illustrated two storybooks. One book was about Rudolph the Red Nose Reindeer and the other was a Batman story. Which single artwork in art history has inspired you the most? That is a very tough question, there have been so many artworks that have inspired me. If I had to choose one, I would have to say Pablo Picasso's Guernica has always been super gnarly. Which artists (living or dead) do you find most inspiring? I find that Ai Wei Wei is really incredible in that much of his work is about defiance and attitude, but at the end of the day there are beautiful accounts or objects to view. If you could have dinner with one dead artist who would it be? Where? And why? If I had a time machine and could go back in time, I would have dinner with Picasso and Braque at Gertrude Stein's house during one of her salons in Paris in the early part of the 20th century, just to be a fly on that wall. 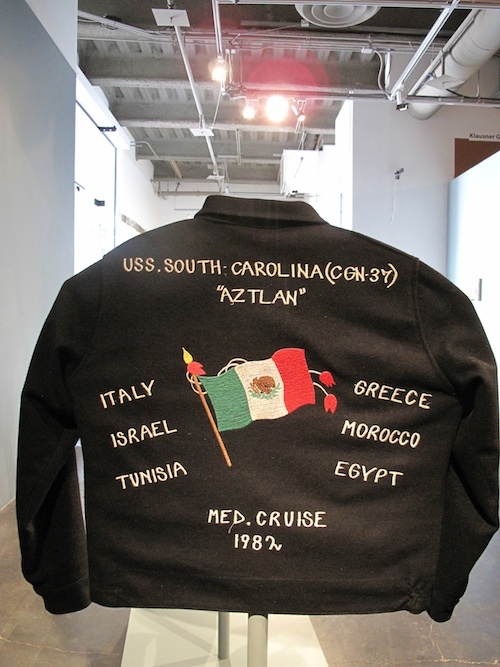 The Tio Collection is on view through September 30, 2012. 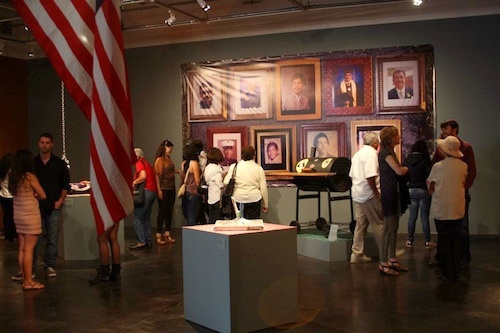 Santa Barbara Contemporary Arts Forum Installation View of Mario Ybarra Jr.: The Tío Collection, 2012, Mixed media, Dimension variable, Courtesy the Artist and Honor Fraser Gallery, Los Angeles, CA. Photo: Emilio Venegas Jr.